Successfully Added GPD XD Android Portable Game Console - 3D Game Support, Quad-Core CPU, 5.5 Inch HD Display, Wi-Fi, Android 4.4, 2GB RAM to your Shopping Cart. Packing a sophisticated Quad-Core processor that reaches clock speeds up to 1.8GHz, the GPD XD Android tablet PC brings forth a powerful performance. Along with its 2GB of RAM, it is capable of handling games, movies, and more without dropping a frame. This Android mini laptop furthermore features the Mali T764 graphic unit, further increasing your overall media experience by allowing you to enjoy the most graphically demanding mobile games out there. With 32GB internal storage, it offers plenty of space for you to store all your downloaded files and media. Within its sleek body, you will be able to find a sophisticated D-Pad, two Joysticks, A, B, X, Y, and plenty more of the regular gaming buttons to deliver an exceptionally great and efficient gaming experience. Supporting old-school simulator games as well as the latest Android games, this Android gamepad is sure the meet the likings of anybody out there. 3D Game support furthermore lets you play the latest and most demanding 3D games available – bringing along an absolutely stunning experience that is guaranteed to keep you entertained for years to come. Thanks to its compact design and powerful hardware, this gamepad makes powerful gaming portable. Enjoy the latest games and Android media anywhere you go, with this electronic gadget you’ll never have to feel bored again. Whether you use it to play games, watch movies, enjoy applications, or simply browse the web – this Android mini laptop is guaranteed to meet all your demands. 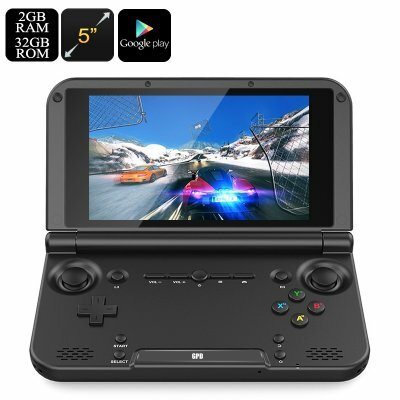 This GPD XD comes with a 12 months warranty, brought to you by the leader in electronic devices as well as wholesale electronic gadgets..
Support HD 3D (1280x720) android APK 3D games, Flash 11 and Flash online games. Support full-screen touch games, gravity sensor direction games, web multi-player games. Arabic: - غمبد الروبوت - Chinese Simplified: - 安卓游戏板 - Czech: - Android Gamepad - Danish: - Android Gamepad - Dutch: - Android Gamepad - French: - Manette de jeu Android - German: - Android Gamepad - Hebrew: - שלטי משחק אנדרואיד - Hindi: - एंड्रॉयड Gamepad - Italian: - Android Gamepad - Japanese: - Android のゲームパッド - Korean: - 안 드 로이드 패드 - Malay: - Alat kawalan permainan video Android - Norwegian Bokmål: - Android Gamepad - Romanian: - Android Gamepad - Russian: - Андроид Геймпад - Spanish: - Android Pad - Thai: - หุ่นยนต์เกมแพ็ด - Turkish: - Android Gamepad - Vietnamese: - Tay chơi Game Android -.